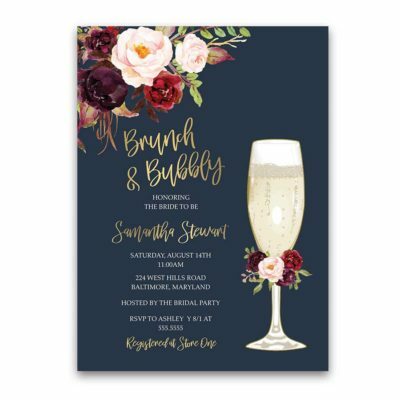 Brunch and Bubbly Bridal Shower Invitation. Your custom bridal shower invitation order is personalized by our notedoccasions team members. After verifying for accuracy the invitation is then sent to print and then carefully wrapped and shipped to you. Also included in your invitation order are white envelopes.